A comfy infinity scarf with fun construction, the Yoli Cowl has garter stitch edges framing mesh worked with short rows. 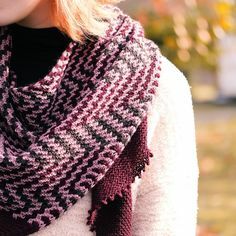 The edges grow wider and narrower, while the short rows add ease and dimension, allowing the cowl to scrunch and tuck cozily around your neck. Worked sideways from a provisional cast on and grafted, this extra long reversible cowl can be worn right off the needles, either as a long scarf or double wrapped around the neck or head to keep out the chill. Size: 46” circumference and 12” height. 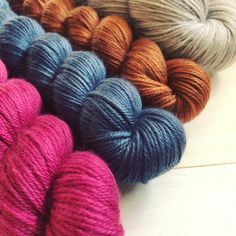 Yarn: Malabrigo Yarn Merino Worsted (100% merino wool, 210 yards/100g); 3 skeins, shown in Zinc. The sample as written used 525 yards. Other Materials: US 9 (5.5mm) needle, or size to match gauge; Stitch markers (2); Scrap yarn for provisional CO; Yarn needle. Gauge: 16 st and 26 rows/4” in garter stitch. Gauge is not critical for this project, however a different gauge may result in a smaller or larger finished cowl, and different yardage requirements.